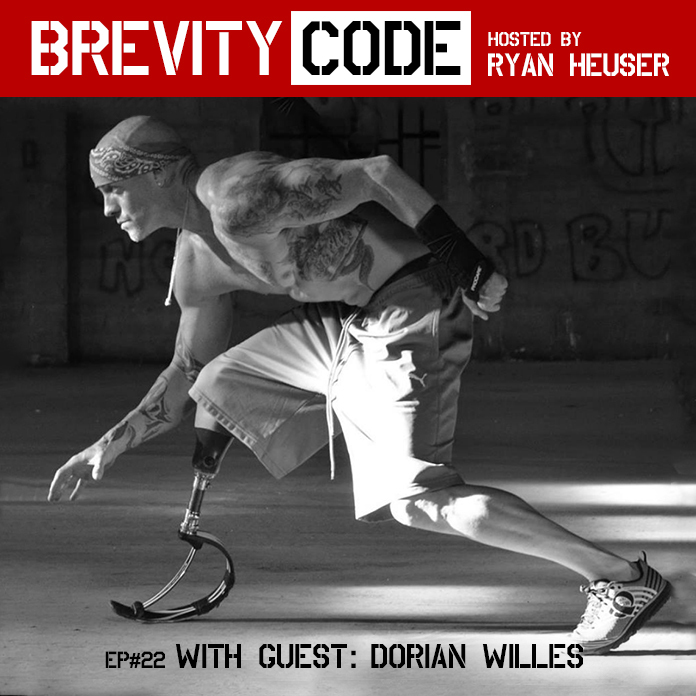 Dorian Willes was shot 21 times at point blank range by two police officers and somehow lived. For the record, 50 cent was only shot a mere 9! We’ll hear how, high on meth Dorian managed to evade police for hours as he found himself trapped inside an apartment complex, determined not to get caught. We’ll relive that day in graphic detail. Dorian explains how he was left for dead and in a coma for months. He spent a year in the hospital where he eventually becomes an amputee. Also, as a result of his gunshot wounds he has very limited use of his left arm. But there’s more to Dorian’s story than him surviving against all odds. Turns out Dorian is also a phenom athlete who earns a spot on the U.S. National Paralympic skeleton team and finishes 4th in the World Championships! Dorian Willes is a motivational speaker who travels the world sharing his story and warning our youth about the dangers of drugs and addiction. Grab some tissue and get ready to be rocked to your core!